Freshwater Gobionellinae fish Rhinogobius leavelli is a common small-bodied species, distributed in eastern Asia. 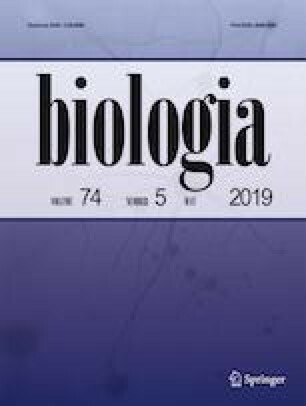 Information about genetic characteristics of Rhinogobius fish had been published only for five species, and there were still no relevant reports on R. leavelli. In the present study, the complete mitochondrial genome of R. leavelli was determined, which was 16,499 bp in length with A + T content of 52.5%, consisting of 13 protein-coding genes, 2 ribosomal RNAs, 22 tRNAs, and a control region. The gene composition and the structural arrangement of the R. leavelli complete mtDNA were identical to other Rhinogobius species and most of other teleosts. Phylogenetic analyses placed R. leavelli in a well-supported monophyletic cluster with the other five Rhinogobius species in Gobionellinae and the phylogenetic position of Rhinogobius was closer to Tridentiger. The online version of this article ( https://doi.org/10.2478/s11756-018-00189-5) contains supplementary material, which is available to authorized users. We are grateful for our crew help in collecting specimens. This work was supported by the research start-up fund of the Chongqing Normal University (Nos. 18XLB007). Experiments were performed in accordance with the recommendations of the Ethics Committee of the Chongqing Normal University (CNU). These policies were enacted according to the Chinese Association for the Laboratory Animal Sciences and the Institutional Animal Care and Use Committee (IACUC) protocols.